La saison des fêtes approche à grands pas et pendant ce mois les employés ont tendance à recevoir leur bonus et payer 13e mois ainsi. Avec cette saison généreuse, un nombre croissantde crimes avait également été passé dernièrement dans la ville. Espoir il y aurait la video surveillance dans les lieux publics comme les centres commerciaux ou encore dans lesvéhicules de transport public comme le jeepney ou taxi. De cette façon, des voleurs ou des criminels hésiteraient à faire de mauvaises choses. Tous Espoir serait en sécurité et avoir un joyeux Noël. Thank you for the fast jeepney ride I had today. I was not late at work eventhough I went to a government agency earlier this morning. I went to PhilHealth today to change my status in their system. My new employer told me that the name registered in the PhilHealth system was my single name and not my married name. I had to personally went in their office to update it. Eventhough I had to take on two jeepney ride to reach their office, I was still able to finish my transaction and come on time on my work. Thank you for the smooth, traffic-free and fast jeepney ride I had this morning. In a one particular trip to a very secluded place in our province, I had been able to saw a very interesting jeepney. 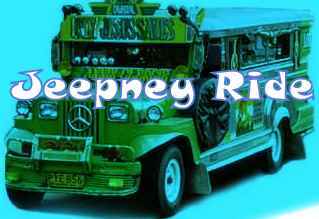 It is a passenger jeepney that has few rides each day because of the long distance it travels. It would even cross rivers. Though there are already a lot of transportation vehicles to choose from aside from jeepney like multicabs and single motor, most passengers would prefer to ride in a jeepney because it is bigger and safer to ride to especially when the trip involves crossing a river. As you can see it is very much occupied by passengers, it only shows that jeepney is still the number one means of transportation in some provinces. My travel time from our house to my new workplace is one hour and thirty minutes. It is compose of two jeepney rides and one ride with tricycle. My first jeepney ride would took me one hour before I will reach my first destination. Since I got nothing to do, I had my praying session while having a jeepney ride. At first, I doubt if I could pray at that state but it is effective. I wore sunglasses and I close my eyes so that I will not get distracted. For that one hour ride, I could pray and say all the things I have to say to the Lord. I feel safe amidst the long travel time because I know I am with the Lord. Thank you Jesus for all the safe jeepney rides I took everyday. Music is a good form of entertainment. It is one way of loosing our anxiety and boredom. In a one particular jeepney ride, I was able to ride a jeepney with a music. They played music of famous artist like duran duran that I was wondering if I could have a privilege to have duran duran tickets and watch them live. Another song played was by deadmau 5, followed by songs of dave koz and other famous artist. Artists that I want to watch in a concert with great audience. If only I have deadmau 5 tickets, dave koz tickets and other concert tickets. Good thing, Ticketamerica.com has concert event listing for dave koz and deadmau5 and the hit rock group Duran Duran performing live. I will surely reserve some tickets for these if only this is near to my place and if I have the resources to avail it . It will surely be a great opportunity. It is raining and usually in the city there are areas that are flooding. When it is flooding, it would also mean that there are stranded passengers and long traffic. I really can't believe it that my one hour ride became three hours because of the heavy rain that causes flooding. The water could already reach your knee and though it is already high, there are still risk-taker jeepney drivers that would still cross the flooding roads. Some would hesitate that are only few jeepneys on this days that passengers would have to wait for hours to be able to have a jeepney ride. I waited almost an hour until I could be able to ride on the jeepney with the route towards home. I waited patiently but it was so tiresome. I hope all canals and dikes would be reconstructed so that there would be no more flooding and so that there would be no more floating jeepney around. There is a nationwide strike today. Almost all jeepney drivers did not drive their jeepney today. They are doing this to indulge their petition to increase the fare in response to the increasing gasoline prices. As result passengers today find difficulty in looking for a public vehicle to ride on so that they could be able to reach their destinations on time. Some schools declared a holiday but still almost every corner are jammed pack with passengers waiting for a jeepney. I am very lucky that I was able to ride easily amidst the shortage of jeepneys. Hope the government could find a solution in this issue so that there will be no more nationwide strike that affects the public. Life is like a jeepney ride. It is a one way ride with no return. Passengers in a jeepney are like people in our lives that at some point they will leave us or would always stay as our co-passengers. Every destination is like stages in life that we meet new people around that help us grow. In this new stage of my life, I am so happy to have great co-passengers as I enjoy married life. Few days ago, I celebrated my first birthday as a married person and I celebrated it with loving people who were newly added in my list of co-passengers in life. They had been my brother/sister-in-laws,nieces and nephews who spend some time, money and effort to give me a happy celebration. Though my immediate family wasn't there to celebrate it with me, I am happy that they had been around. Although I am a new member in their family, they accepted me wholeheartedly. I am so grateful to have them. With these lovable people around, I am sure I will have a great jeepney ride of life with them. I hope you will also enjoy the ride of your life the same way I do. Cheers!!! We just got home from a long trip. We traveled at midnight to dawn which is not a typical time of travelling. We know that the road is risky but we have done it several times already because of the appointments that awaits us. Although we arrived safely, we didn't know that we are having a very risky ride last night. Hours before we pass that certain road, a passenger vehicle was robbed and the driver was shot. Rebels fired shots at the vehicle when it pass by which killed the driver instantly. When the vehicle already stopped, the rebels robbed the passengers. When we pass in that certain road there had been a lot of checkpoints along the way but we didn't know that there had been an incident like that. We heard the news only in the morning. God had been so good that we arrived safely. Thank you Jesus. There is no better time to travel than in the morning. Aside from the beautiful view of the sunrise, the road is also clean in the morning especially in places full of trees. 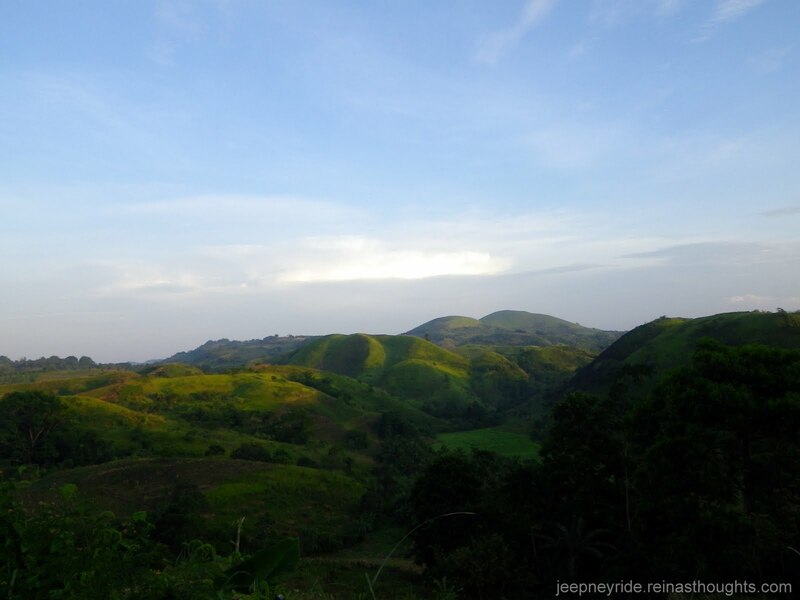 You will get to encountered the fogs, the cool breeze and the fresh air. Even if you are in the city, morning is the best time to have your jeepney ride. 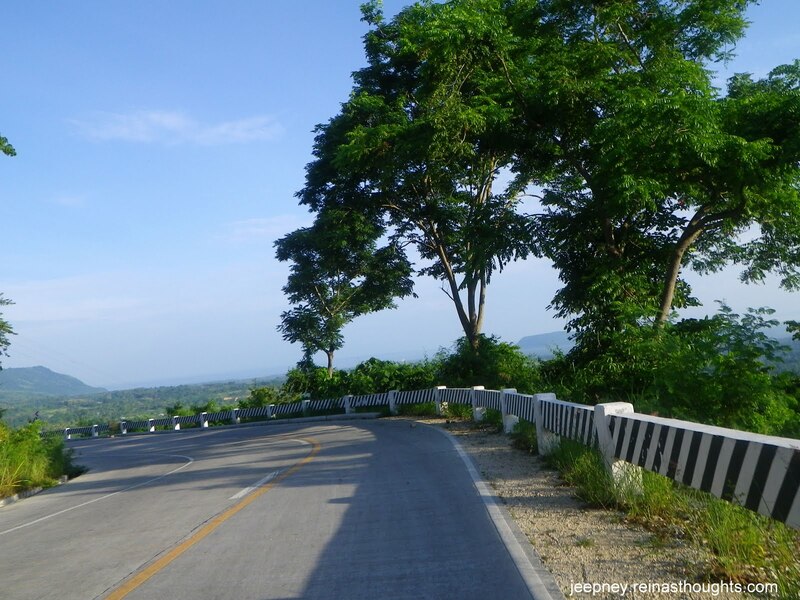 During this time the road is not yet polluted, the air is not yet full of dust and the traffic is minimal. For long distance ride, it also better to ride early so that in case there are some incidents along the way, you could ask for help along the road unlike in the evening which is you are on your own. For me, as mush as possible I would prefer morning ride. 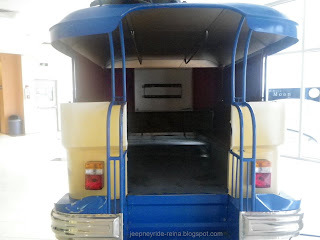 I am really excited to post in this blog the exhibit of a jeepney at the Manila Ocean Park. When I encounter this, I took pictures right away to be able to share it with you. Enjoy!!! As consumer debt has skyrocketed to over $3 Trillion, many believe the only way out from under the mountain of bills is to declare bankruptcy. But is it right for you? Many myths persist to misinform the public. “Probably the worst myth about bankruptcy is that you need to be flat broke before you should file,” says Sacramento bankruptcy attorney Gerald B. Glazer. “It is not good to wait until creditors are knocking on your door,” according to Glazer. Planning can prepare you for a bankruptcy that causes the least amount of financial disruption. My mother, my husband and I had a tiresome trip yesterday. From our little town in the province of North Cotabato, we went to Davao City. After staying for a day, we returned back to our hometown. A trip from our hometown to the city may range from three to six hours of travel. Then, we stroll the city for a whole day to be able to accomplish what we come for. First hour in the morning, we returned home. Imagine how tiresome it had been but I haven't got a chance to have a jeepney ride in the city. As always, jeepneys are too many in the streets of the city but are not enough to accommodate all the passengers. If you are a jeepney rider, you must run for it for you to be able to have a jeepney ride especially during peak hours either in the morning or in the afternoon. It is a relief if you could be able to ride early in a jeepney without any hassle. Somehow a jeepney ride may also be a tiresome trip. I surely missed my jeepney ride. It has been part of my daily routine for years. Now that I have been relocated to the province, I seldom ride in it. I miss the daily encounter with different people in every jeepney ride. I miss the different experiences I used to have in every ride. When I am still in the city and always alone in the house, every jeepney ride reminds me that I am not alone in this world. It comforts me to be sitting side by side with different people in a jeepney. 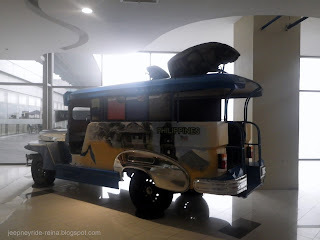 I am really missing my jeepney ride but through this blog I will relieve the experience. One passenger caught my attention in today’s jeepney ride. It is very seldom to have a co-passenger in a jeepney who is as beautiful as her. She is almost perfect. Her height, figure, fair complexion, nose, eyes and lips. She looks like an angel but I think she is already married because of her engagement and wedding rings. I just wondered why she rode in a jeepney. With her looks and physical appearance, she must be rich and should be riding a personal car. Well, at least I got to see an angel on board a jeepney in today's ride. Opportunities only knocks once. This reminds me of my jeepney ride this morning. I was given an oppotunity to ride early in a jeepney but I neglected it. Someone offered me to ride on the front seat but then there were already two passengers in it so I neglected it. When, I glanced back someone already sit on it and he was still accommodated in such a small space. Since, I rejected the offered I waited again for 15-20minutes for me to be able to have my jeepney ride. How To Stop a Jeepney? Jeepney passengers conveys a lot of ways in stopping a jeepney when they already reach their destination. It could be through sound, hand signals or a combination of both. Upon reaching their destination, passengers usually say "para", "lugar lang", "sa yellow box lang" or for some they whistle, or make a sound by tapping a coin to any metal part of the jeepney or by knocking on the jeepney ceiling. Some konduktors also have hand signals, a finger pointing downward,to relay to the driver to stop the jeepney at the next corner. Others, whistles and tap any part of the jeepney. These are only some of the ways of relaying the message to the driver that a passenger already reach its destination and must stop the jeepney. I traveled one hour this morning from a supposed to be twenty minute ride. I went to Calinan to attend a Sunday Service at my brother in law's church. From our house to Calinan, it only took 20 minutes to reach the church. But after the Sunday Service, I rode a jeepney which waited its passengers in every corner. I couldn't count anymore how many stops that we made.It was really a test of patience. Good thing I came from a Sunday Service that somehow I didn't mind or get angry with the situation. I understand that they have to do that to compensate for the high cost of fuel right now. Well, that had been my jeepney ride for today. Why Jeepney Ride? Of all the topics to choose from, why jeepney ride? It all started when I was in college. My teacher in writing subject gave us an assignment to write any topic we want. 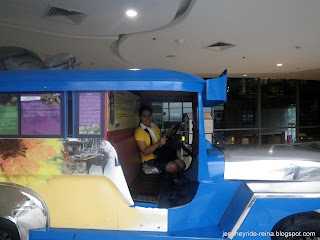 Since jeepney ride is an everyday activity for me, I wrote about this topic. I was so hopeful that I would be able to convey in my write up the things I experienced during my jeepney ride, but I was wrong. My teacher told me that there is nothing interesting in a jeepney ride because people doesn't always interact in a jeepney ride. Passengers do not mind each other in a jeepney and that how was I able to have some learnings from such. 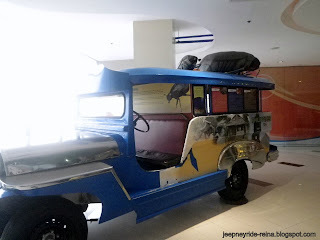 This blog is entitled Jeepney Ride. I created this a year ago. As of the moment, this would be the 17th post. In terms of earnings, it already accumulated $17.65 from link ads in posts since its creation. I admit this is an experimental blog for me to prove to myself that my teacher is wrong. If I would be given a chance to revise the title, I would still choose Jeepney Ride. Jeepney ride starts and ends my day and I find joy in every jeepney ride because it brought me to the places where I want to go which are the things I want to convey to my readers. This has been the reason behind the title Jeepney Ride. February 2, 2011 was the day the one peso fare increase was implemented. From the minimum fare of seven pesos, it is now eight pesos for the first four kilometers and the one peso rate per kilometer is as ease. The senior citizen and student discount can still be availed with no id-no discount rule. Sometimes, jeepney "konduktor" strictly implement this rule that they would ask for the senior citizen id before they would let the elderly avail the discount. It would sometimes be the cause of arguments between passengers and "konduktor" in a jeepney ride. With the one peso fare increase some protested, but for me it is only justifiable because of the increasing price in fuel. One peso could not empty our pockets but if it is combined it would be enough for our jeepney drivers to sustain their daily living needs. Windshield wiper is a device connected to a mechanical arm for the purpose of wiping off rain from windshield or rear window.During rainy season, windshield wiper is very vital in any vehicle. Rains blur the view of a driver that it is only necessary for the windshield wiper to be functioning well. In today’s jeepney ride, it rained heavily and the road is not so visible because of rain. The jeepney where I rode has a small windshield wiper and the driver keeps on turning it off and on. I pitied the jeepney driver because either he doesn’t have the time to change his wiper or he cannot afford it. Despite the blurry view of the driver, we still manage to arrive safely in our destinations. Jeepney is an open-window vehicle. 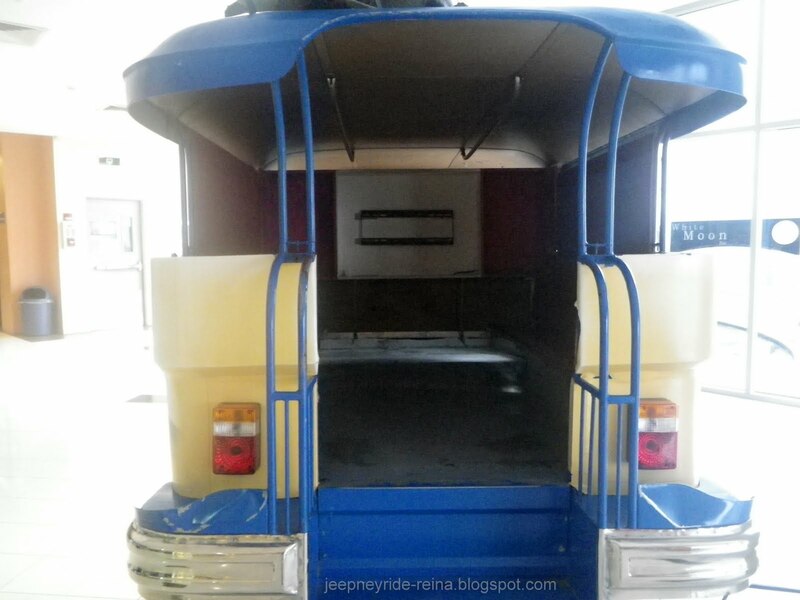 Since it is open, the wind goes in and out inside the jeepney. To be able to enjoy your jeepney ride you must bring along with you your jeepney ride accessories. First thing is the sunglasses. Aside from protecting your eyes from sun’s rays, sunglasses would also protect your eyes from the small particles blown away by the wind. Second is the big handkerchief or the “bandana”. It is used to cover your hair so that it won’t be stiff with dust. Of course you should also not forget your handkerchief. Since the wind blown away by vehicles is not only full of dust but also mixed with pollution, you should cover your nose and mouth with handkerchief. For long distance travel with rough roads, jeepney passengers bring coats or jacket because aside from protecting themselves from cold wind it would also cover up their clothing from dust. These are only some of the things you must bring along with you for a comfortable and enjoyable jeepney ride. Have a safe ride. Senior Citizen’s requirement in the Philippines is that you must be 60 years old and up before you could register with DSWD (Dept. of Social Welfare and Development ) as such. Being a senior citizen you can avail the benefits of having a 20% discount on your food, medicines, groceries, fare and recently even in the electric bills. You just have to present your senior citizen ID and purchase slip for groceries and medicines. On one of my jeepney ride, it happened that one of my co-passengers is a senior citizen. She is talking to an acquaintance. They are concerned of a rumor that there is already a proposed bill to the senate stating a change of age bracket of senior citizen, from 60 to 70. On my co-passenger’s opinion, 70 years old is already too old and may not anymore avail the benefits, that it might just be a rumor. On the other hand, it might be true because senior citizens still occupies a certain percentage on the total population of the country and that the privileges given might have a high impact on the industry.Still, a 70 year old Filipino is already too old to purchase some groceries,to buy some medicines or to even ride on a public utility like jeepney to be able to enjoy the 20% discount. Hope this is still a rumor so that mostly of the elderly would be benefited. It is another jeepney ride with a little funny incident. When I rode the jeepney this morning, I wondered why some of the passengers kept on looking below the seats. One of the passengers lost her cellphone while riding the jeepney and she couldn't find it. It is her new cellphone after she recently lost the former one and that she couldn't memorize the number. Our co-passengers kept on looking below their seats. When we are already in the city proper, one of the passengers finally found the cellphone on the corner part of the jeepney five seats away from its owner.Some of the passengers teased the owner that if it took a little longer before she found her cellphone, she would already be bursting into tears. Some advised her to memorize her number so that it could be easily located while others didn't mind. Well, it here goes my jeepney ride.